Tchaikovsky’s lush ballet music is both for the ages and for every age! From the imaginative children’s classic Nutcracker to the timeless love story of Swan Lake, a mixture of magic, tragedy, and romance, Tchaikovsky’s melodic invention in dance form are international cultural treasures. A great counterpoint to any classic is a premiere. 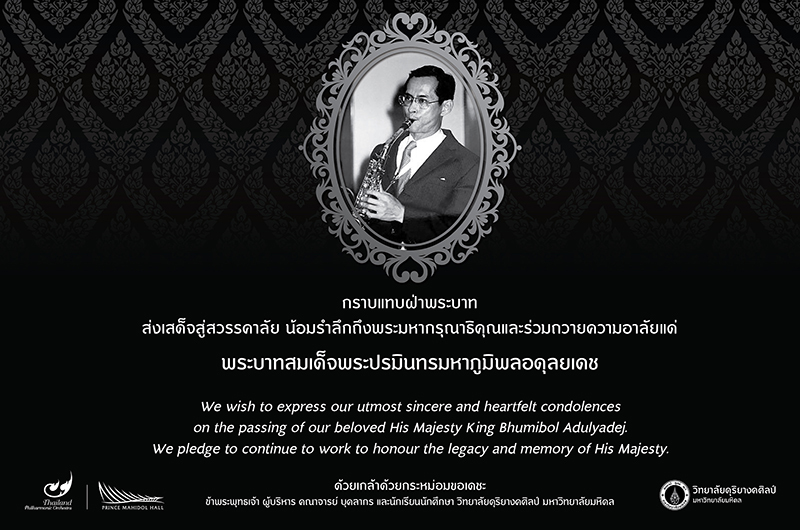 On this concert we hear the Brass Quintet of the World Brass Association in the first performance of Narong Prangcharoen’s Concerto for Brass Quintet, a work that pushes the boundaries of this traditional genre into new and stimulating directions. Tchaikovsky’s lush ballet music is both for the ages and for every age! From the imaginative children’s classic Nutcracker to the timeless love story of Swan Lake, a mixture of magic, tragedy and romance, Tchaikovsky’s melodic invention in dance form are international cultural treasures. Next to traditional caroling no music is more synonymous with the holiday season than Tchaikovsky’s Nutcracker: sugarplumb fairies and hopak dances are guaranteed to put all in the holiday spirit. A great counterpoint to any classic is a premiere. On this concert we hear the first performance of Narong Prangcharoen’s concerto for brass quintet, a work that pushes the boundaries of this traditional genre into new and stimulating directions. 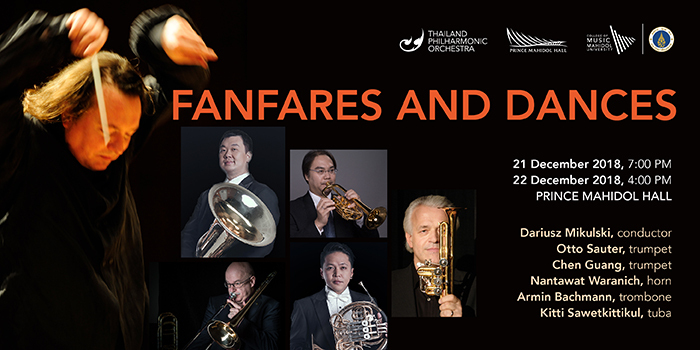 The soloists are an international group of outstanding brass virtuosos from the World Brass Association: Otto Sauter, Chen Guang, Armin Bachmann, together with Thailand Phil horn and tuba principal, Nantawat Waranich and Kitti Sawetkittikul. Leading the orchestra in this mixed holiday program is the Polish conductor Dariusz Mikulski.